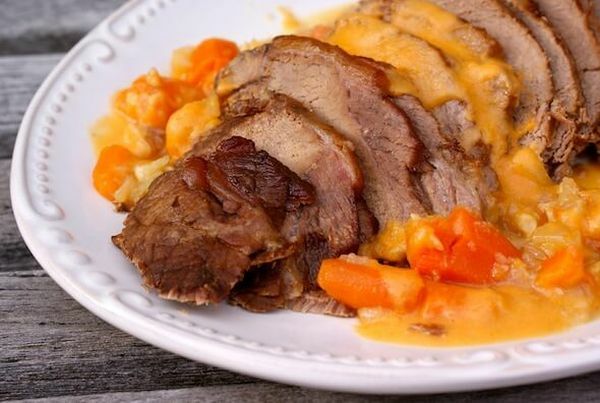 If you’re in the mood for something savory and filling, these 20 pot roast recipes will take this comfort food to new heights. Nothing says “fall is here” more than the smell of a freshly cooked pot roast wafting from the kitchen. And while most families have their own “secret recipes” they swear by, these 20 variations will help you take this traditional favorite in whole new directions. 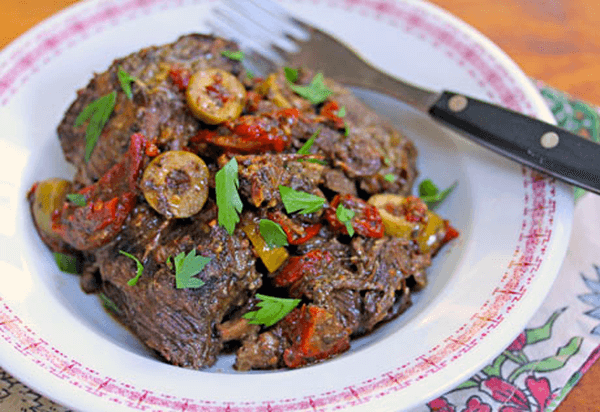 From Spiced Venison Roast with Roasted Apples to Italian Pot Roast with Sun-Dried Tomatoes & Olives, there’s something in the list below that will satisfy every savory palate. Don’t stop by the deli to get meat for sandwiches. 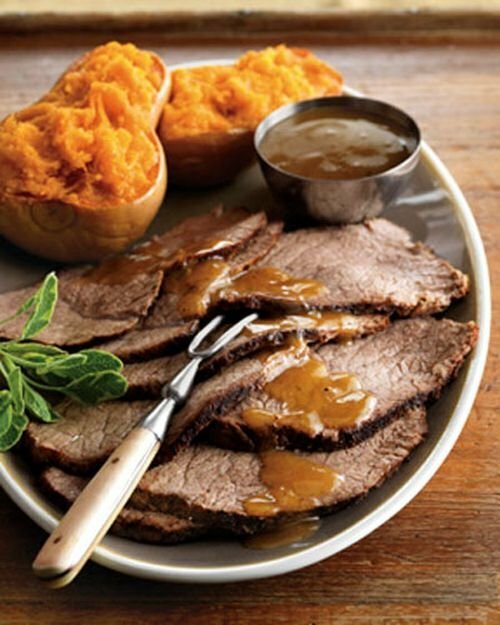 Instead you can make roast beef in your slow cooker at home. What you’ll end up with may not be thinly sliced, but you’ll have tasty gravy to make the perfect sandwich. You can even serve the beef drippings on the side for roast beef au jus. These are great when they’re hot and fresh, and leftovers are good as a cold roast beef sandwich, or reheated in a toaster oven. 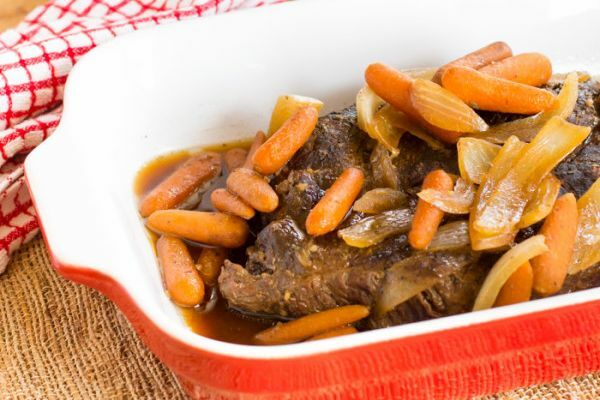 It’s easy to make delicious pot roast in a slow cooker with just a little liquid like broth, wine, or just water. To take it to another level, just add a flavorful spice rub like this one. Although it can seem like you’ll have to spend a lot of money to make a spice blend from scratch, it’ll only cost a couple bucks if you find a grocery store with a bulk spice section. A lot of natural grocers will have this option for getting spices at a fraction of the cost of buying jars. Instead of mourning the end of summer, celebrate the beginning of fall with an incredible roast. 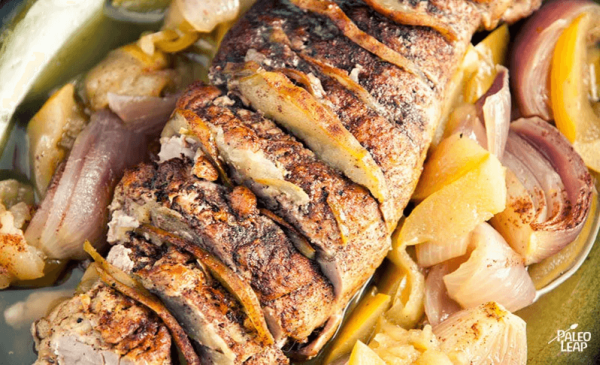 This pork is infused with the autumn flavors of apple and cinnamon. Pork loin roast is easy to cook whether you choose a slow cooker or the oven. Start by slicing the tenderloin open to stick some apple slices inside so the juices soak in. Drizzle the pork with honey, and roast with onion and the remaining apples. 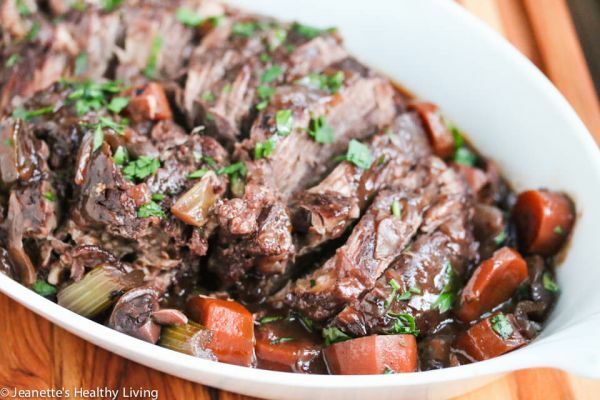 All you need to make a fancy dinner out of chuck roast is a bottle of red wine and a slow cooker. Of course it never hurts to add a mix of fresh produce like carrots, onion, celery, and mushrooms to the pot too. It takes about a half hour to prepare all the ingredients, which can be done in the morning or afternoon. Come dinnertime, you’ll have a complete meal ready to go in the Crock Pot. With this recipe, all you need to serve alongside the succulent roast are mashed potatoes (or cauliflower). Of course you’ll need gravy too. Right before serving, use just water, cornstarch, and the juices leftover after the roast is removed from the slow cooker to make a quick beef gravy. 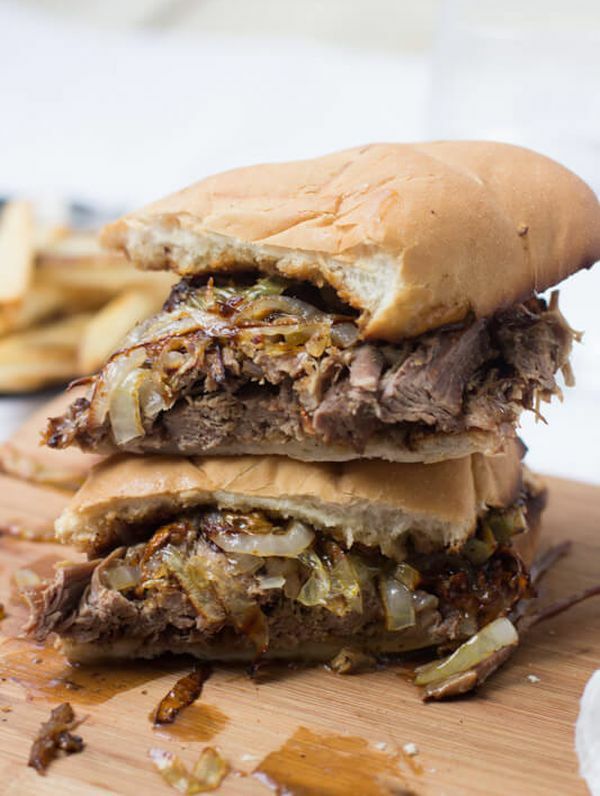 And those awesome caramelized onions can be strewn all over the plate too, adding flavor to both the roast beef and the side dish. A good pot roast doesn’t require a lot of seasonings. But when you have a well-stocked pantry with Worcestershire sauce, red wine vinegar, and molasses, why not add them to the mix? 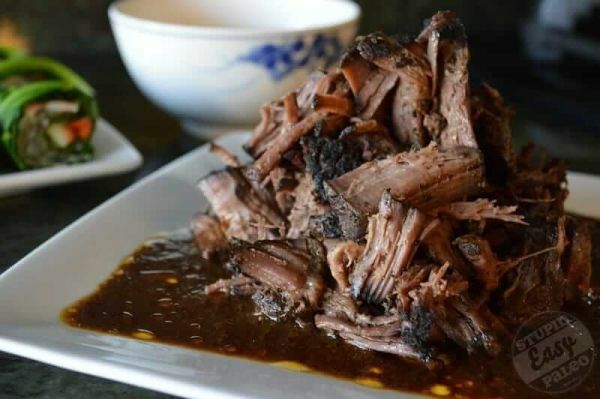 The result is a sweet and sour beef roast that hits all the flavor notes. It even has mushrooms for extra umami, but you could use bell peppers instead if that’s more your style. It pays to learn how to cook bottom round roast. It’s a bargain because it is one of the lowest price cuts of beef. While you might have to cook it all day over low heat, you’ll be rewarded for your patience. Once you slow-roast it, the meat will taste like top sirloin. So basically you’re having a cheap steak for dinner that’s fork tender. Of course everyone’s version of a perfect pot roast will be slightly different, depending on your favorite herbs and veggies. But one thing is for sure: this recipe from Ree Drummond, aka The Pioneer Woman, won’t disappoint. 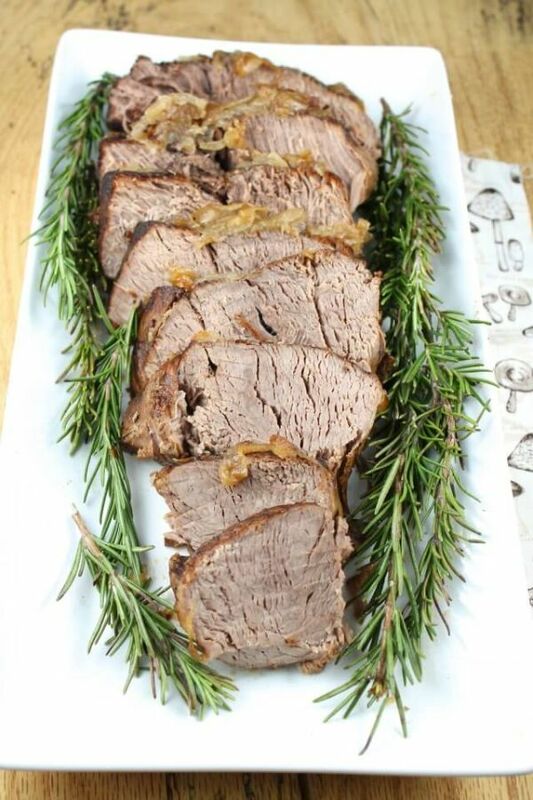 It uses a mix of fresh thyme and rosemary, plus red wine and beef broth, so the result is a rich yet simple roast. 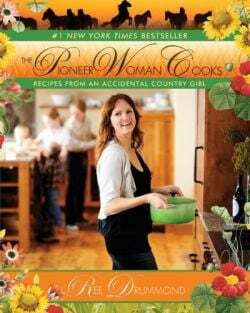 For more flavorful, down-home dinners, pick up The Pioneer Woman Cooks: Recipes from an Accidental Country Girl by Ree Drummond. 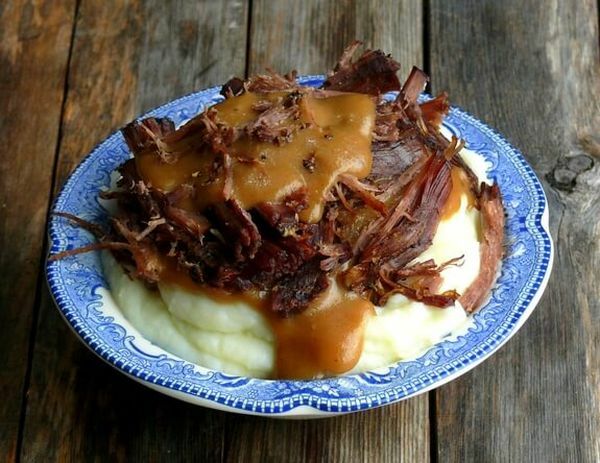 Pot roast is one of the oldest American meals, dating back to the colonial era. That’s why we still call simple versions of the dish Yankee pot roast. 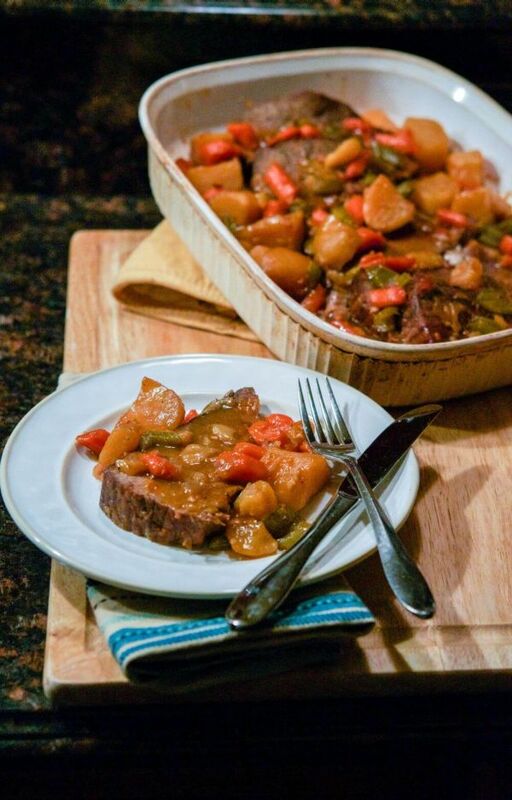 Inspired by French cuisine, they would boil whatever vegetables they had on hand, including new-world foods like potatoes, and then rump or round roast was braised along with the veggies. Now the method of cooking may change, but any simple American-style pot roast will echo the original. 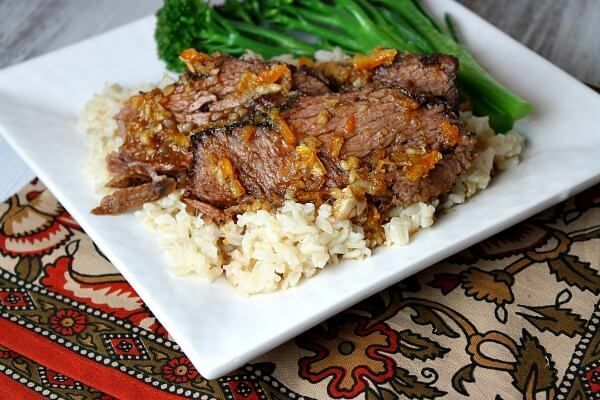 This Crock Pot roast for two proves that the easiest way to make beef chuck is in a slow cooker. That’s because it’ll turn the collagen, which is tough connective tissue, into soft gelatin. In other words, well-marbled meat will become so tender it pulls apart. Not only is it quick to get this meal cooking, but you can add whatever ingredients you want to the pot. So if you’re looking for a lazy way to prepare a romantic dinner for two, this recipe is a must-try. If you have a pressure cooker taking up space in you cabinets, it’s about time you put it to good use. It’s actually an awesome way to prepare pot roast. Whatever ingredients you add to a pressure cooker will retain their nutritional value better than when boiled or sautéed. You’ll also be able to transform any cheap cut of meat into a tender, juicy entrée in way less time than it takes in a slow cooker. 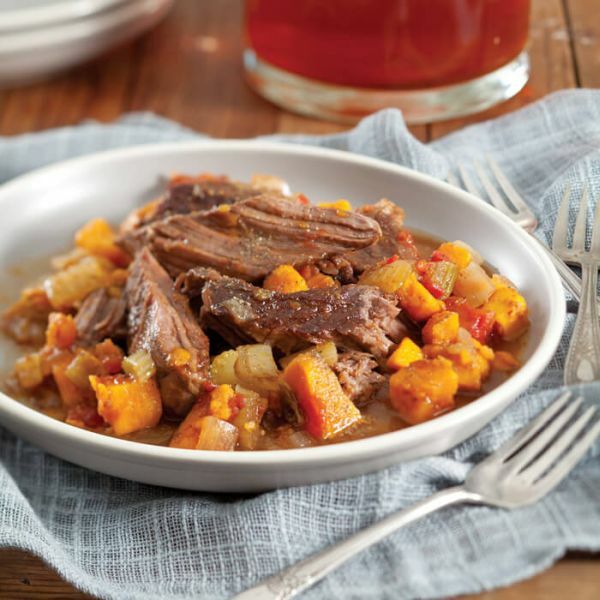 Having a slow cooker can take some of the work out of a pot roast, but by no means is it necessary. A Dutch oven will do just as great of a job – maybe even better. After all, pot roasts were around for centuries before electric kitchen appliances were invented. So if you’re going for rustic flavor, there’s nothing like a heavy pot to do the work. 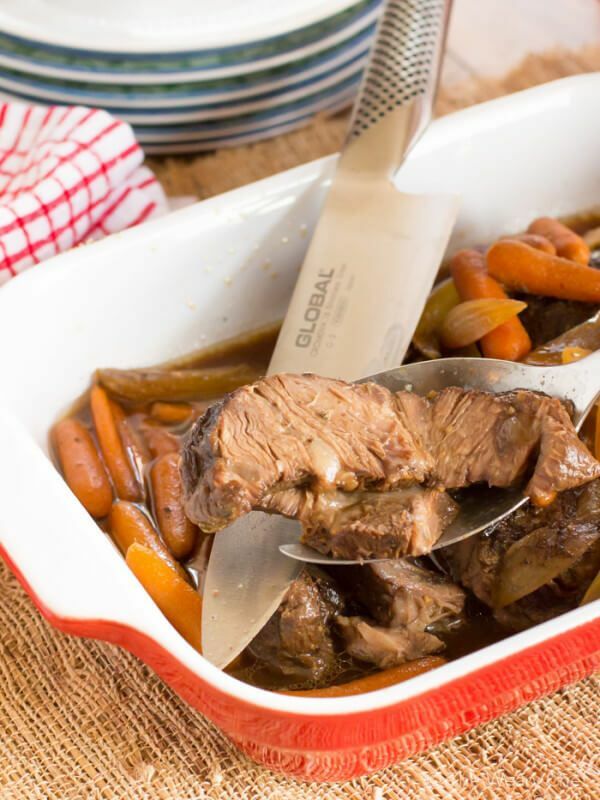 People often avoid making a roast in the oven because it can dry out, but this recipe allows you to make a tender pot roast without even using a pot. For those of you without a slow cooker or Dutch oven, this is the way to go. The chuck roast goes in the oven whole, so you just have to rub it down with olive oil before giving it a quick pan-sear. Then the veggies get a quick sauté before it all roasts at a low temp for a few hours. 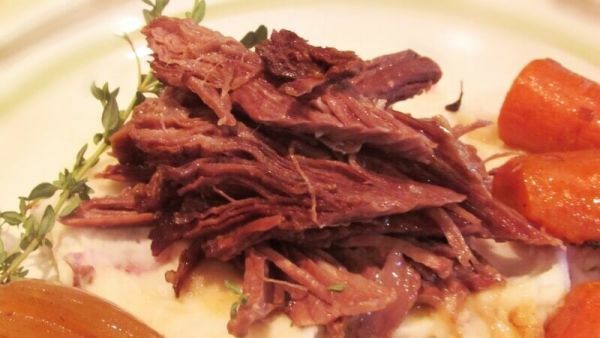 When you think of Italian food for dinner, you probably don’t consider pot roast. Yet adding sun-dried tomatoes, balsamic vinegar, olives, and roasted garlic can turn plain beef chuck into an entirely new dish. And while most pot roast is served with mashed potatoes or veggies, this one is just as delicious with egg noodles. It’s hardly pot roast without gravy. You’ll always end up with some kind of drippings in the bottom of the pot, but this recipe adds a couple ingredients that make a gravy that tastes like it came from a chef’s kitchen. You won’t even have to pick up anything fancy, just some apple cider and maple syrup. And for a break from mashed potatoes, this meal is rounded out with butternut squash. A Dutch oven is great for braising tough cuts of meat because of the way it’ll slowly break down the fat while browning the outside. They key is to cook it low and slow with enough moisture, which is exactly what happens when you braise. And make sure to have extra for leftovers. 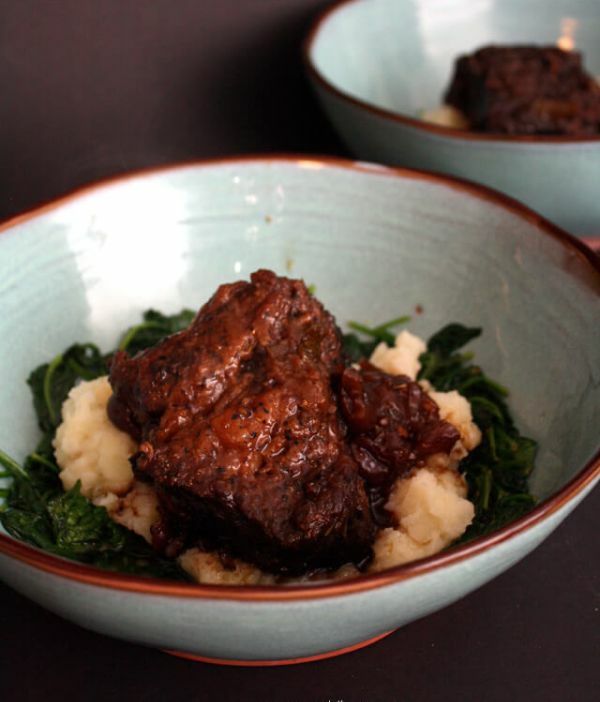 When you’re braising beef, it’ll taste even better the next day. Don’t worry about getting a whole chicken to make a roast. That’s a great way to go but can be a bit more cumbersome to make. For a weeknight dinner, a one-pot meal is always going to be more appealing. So pick up some chicken thighs, and roast them in a skillet or Dutch oven. 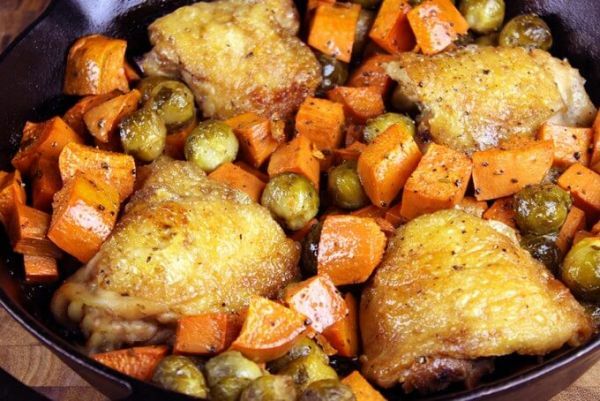 This recipe has a wintry blend of Brussels sprouts and sweet potatoes, but you could swap those out for any two veggies you prefer. 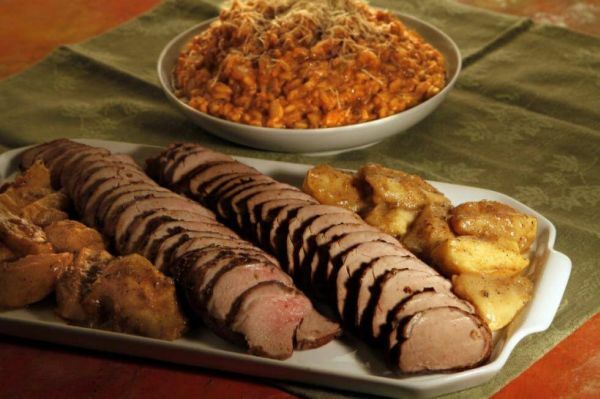 If you enjoy hunting, or know someone who does and is willing to share the game they score, you’ll get the rare indulgence of a venison roast. 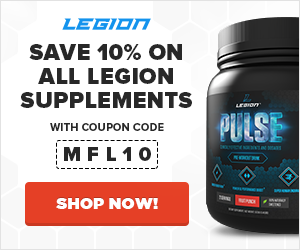 Don’t let that flavorful lean meat go to waste with poor cooking preparation. Since it doesn’t have a lot of fat, venison pot roast will ensure the meat stays tender and juicy. So will the white wine, chicken broth, and apples. Planning to barbecue in the backyard, but the weather’s not on your side? 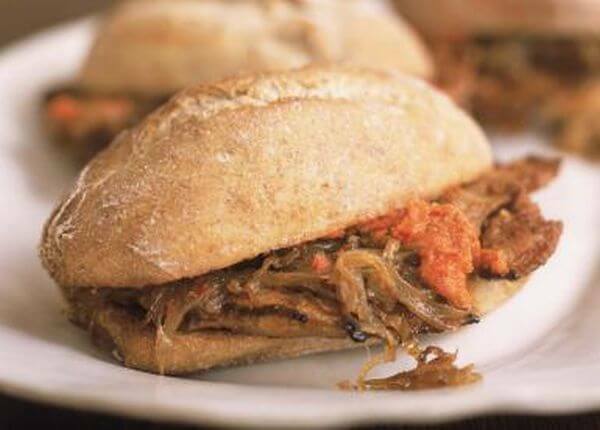 Whether it’s the middle of summer or the dead of winter, you can enjoy succulent barbecue pork sandwiches prepared in a Crock Pot. You only need four ingredients – and that includes the salt and pepper. That means if you have extra energy, you can make the sauce from scratch with vinegar, brown sugar, tomato sauce, Worcestershire sauce, and seasonings. This is a traditional Irish dish to serve on St. Patrick’s Day, but it’s good any other day of the year too. That’s because of the Guinness stout, of course, which adds dark, nutty notes like roasted barley. The only thing missing to make this meal even more Irish is potatoes. 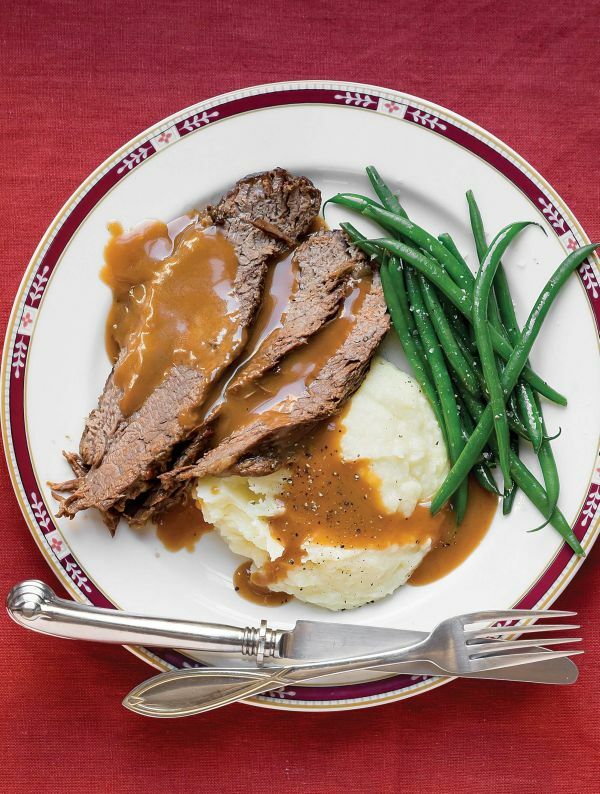 The pot roast is tastes great alone, but it’s even better served over mashed potatoes. 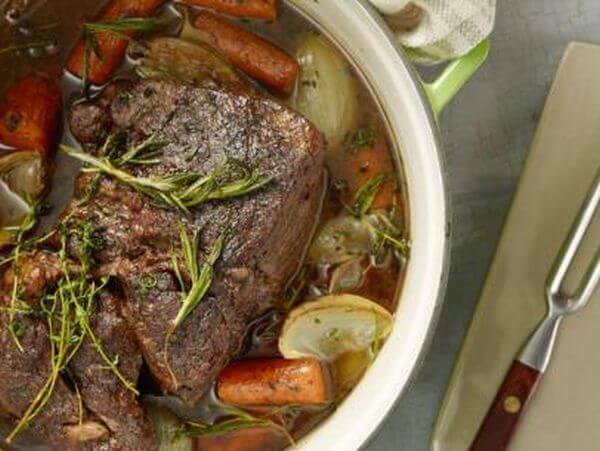 What did you think of these pot roast recipes? Have anything else to share? Let me know in the comments below!